For the church’s relationship series earlier this year, we had a specific request and a short window of time. 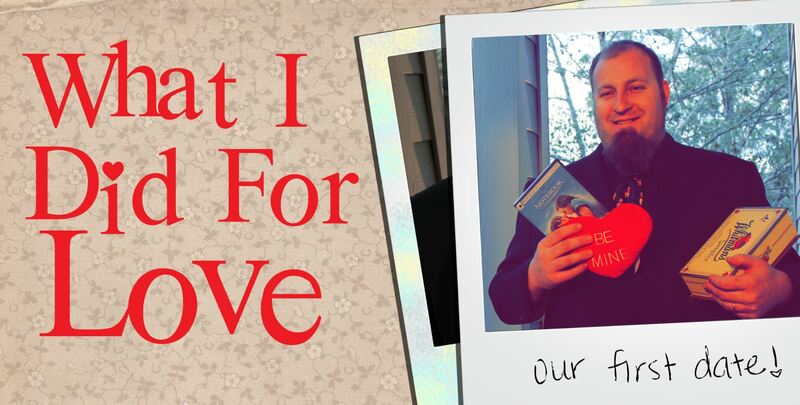 I’ve talked before about our bumpers; this time, the in-service transition between music and preaching was to be bridged by… a romantic comedy? Well, sort of. The series title being “What I Did For Love,” we suggested to our pastor that we do a short spoof of a guy getting ready for a date. He gave his approval, but asked that the protagonist be played by the unflappable Derek French, who would also appear on the series logo. In fact, the last shot of the bumper and the logo were to match exactly. Along the way, someone tossed out the idea that Derek should be made over by a redneck Tim Gunn. Hey, that added some spice. We added it to the concept and I went off to draft. Finally, my intrepid colleague Vince pulled together his equipment and shot the whole thing in a single afternoon. He also neatly solved the problem of matching the logo by shooting a pic of Derek just after they finished filming… which then became the picture in the logo. The result was a pretty big hit with the Sunday crowd. Ah! Nice! And look! Its Steve! Long time no see. Thanks, Colby. You should stop by and tell him (and us) hey… next time you’re in the contiguous states. Awesome! I enjoy getting to see the whole design process. Thanks, Matt! Looking forward to OUR collaboration!